Ask A Service Tech at AutoMax Dodge Chrysler Jeep RAM! 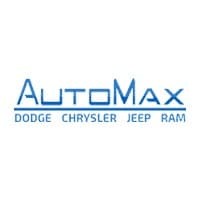 AutoMax Dodge Chrysler Jeep RAM is proud to be an automotive leader serving the Oklahoma City, OK area. Please fill out this short form and we will gladly help you with all of your automotive needs. By submitting this form you agree to be contacted by a AutoMax CJDR staff member.